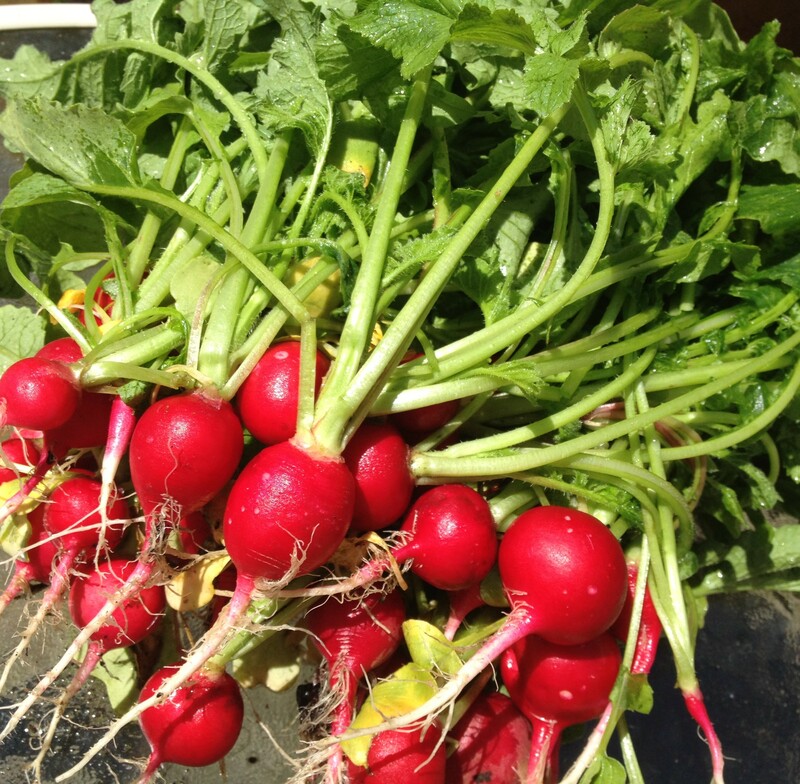 Today we harvested the first crop of radishes from our garden. I think I was about 30 years old before I could say I liked radishes, so if they’re not your thing right now, maybe they will appeal to you at some point in the future.They are so vibrant and beautiful that every year I find myself photographing them just for fun. But they are not just pretty to look at — radishes are filled with vitamin C, as well a group of compounds called isothiocyanates, which are shown to be effective against some types of cancer cells. This is a very diet-friendly recipe, but don’t let that put you off! Even if I wasn’t watching my weight, this dressing would appeal to me. And added bonus? It’s from The New York Times. 1. 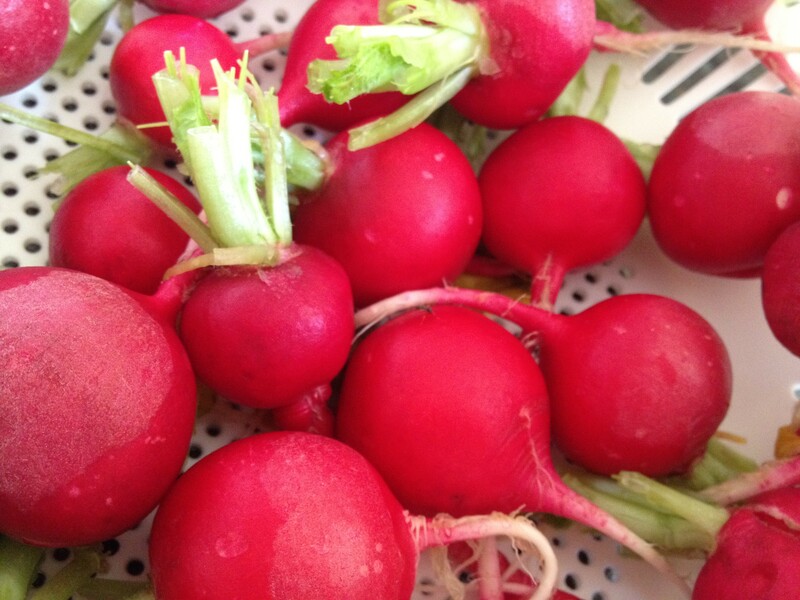 Combine radishes with salt, and cover with water in a bowl. Let sit 15 minutes. Drain, and rinse. Meanwhile, stir together the pepper and fruit juices. 2. 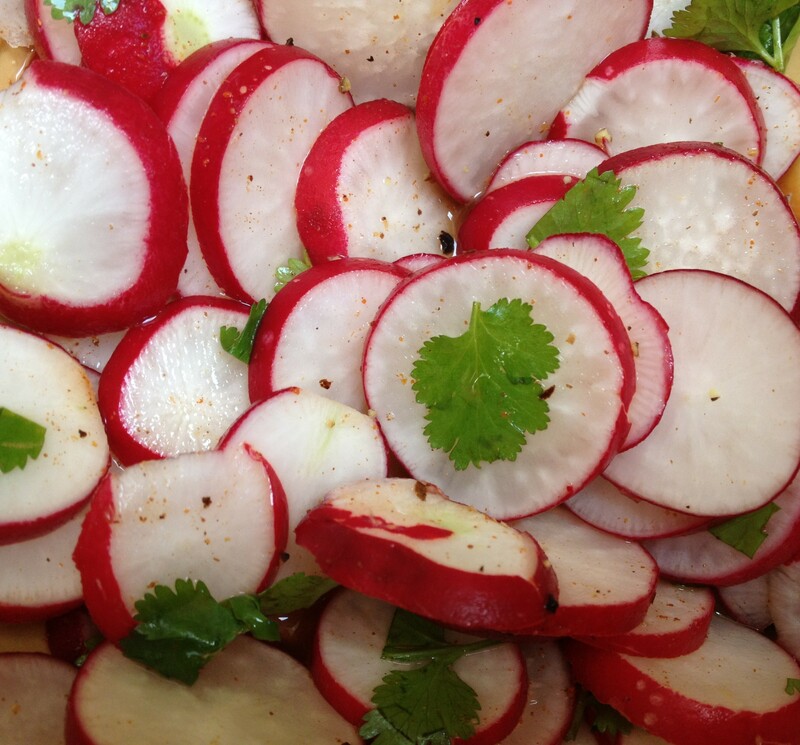 Toss radishes with dressing and chilies. Taste. Add more salt, pepper or lime juice as needed. Garnish with herb, and serve. This entry was posted in Salads and tagged Mark Bittman radish salad, NYT radish salad, radish salad by Mom Mom's Apron. Bookmark the permalink. I love radishes but home grown are usually too bitter. Is that why you soak them for 15 mins? What happened to American Bar and Grill? Ginny, I’ll update you when I see you — which will hopefully be SOON! Welcome back!